Your Uncle Potts has fallen on hard times. His flower business is about to go under and he needs your business sense. 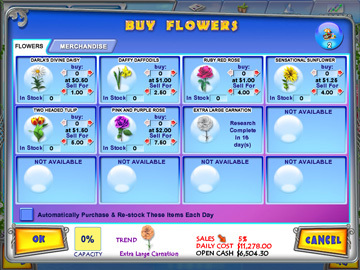 Help your uncle by selling his flowers throughout the city in your flower stands. Advertise and upgrade your business to compete with other flower vendors. 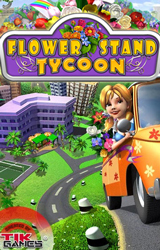 Grab their customers and market share and become a Flower Stand Tycoon. 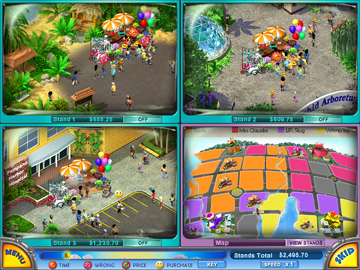 Compete against other flower vendors for neighborhoods. 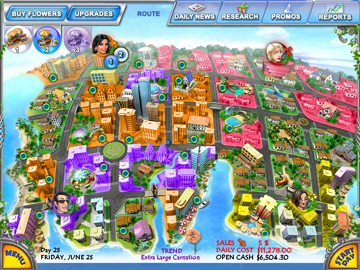 Get market share for enough locations you can overtake the entire city.